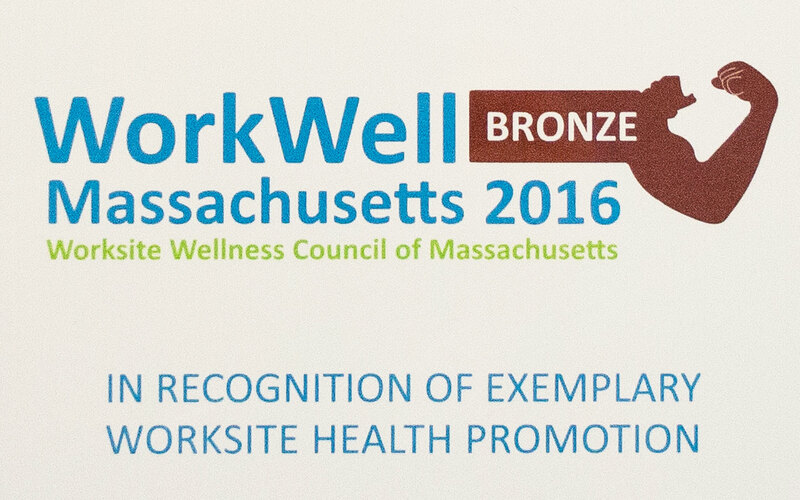 WOBURN, MA (September 22, 2016) – Tocci Building Companies (Tocci)a Boston-area construction management company and recognized leader in advanced construction process, is proud to be a WorkWell Massachusetts Award Program Bronze Level winner for exemplary worksite health promotion. 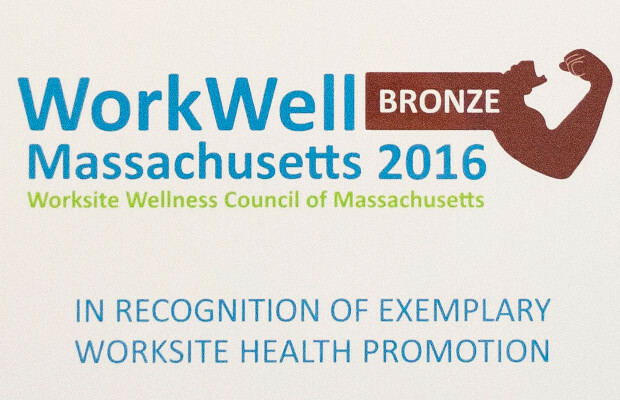 The award recognizes Tocci Building Companies’ achievements developing, implementing, and participating in corporate health improvement and wellness programs. Tocci’s commitment to health and wellness is exemplified through a variety of company initiatives, such as an on-site fitness center, group yoga sessions, jobsite safety lunch and learns, and strength and fitness challenges. Tocci also offers a Lean Box in its employee café, which provides healthy snack and lunch options. Employees cultivate a company garden through the summer months, and help host summer barbeques with lawn games providing friendly competition. The team also organizes an annual Fitbit challenge and collectively took 36,000,000 steps in 2016. Tocci Building Companies, a leading construction and project management firm, provides highly sustainable building solutions with an emphasis on lean construction. The firm specializes in advanced technology, and Highly Collaborative Project Delivery (HCPDSM) Headquartered in Woburn (suburban Boston) MA Tocci builds throughout the Northeastern US and provides consulting services to leading Owners across the country.